Are all yogurts ‘probiotic yogurts’? Are all yogurts ‘probiotic yogurts’? This seems like such an easy question, but let’s look at it more closely. The definition of a probiotic is “Live microorganisms that, when administered in adequate amounts, confer a health benefit on the host.” Yogurt is the product resulting from the culturing of milk with bacterial cultures that contain the lactic acid-producing bacteria, Lactobacillus bulgaricus and Streptococcus thermophilus. Furthermore, additional bacteria, such as strains of Lactobacillus and Bifidobacterium species, can be added for their health benefits. The first reason this question isn’t as simple as it first seems is because in the United States, yogurt can be heat-treated after fermentation, thereby killing the live cultures used to create it. There are no longer live microorganisms in such heat-treated yogurt, so it would fail to meet the first criterion of a probiotic. But most yogurts on the market today have not been heat treated after fermentation and contain live cultures, and therefore would meet the criterion for ‘containing live microbes’. Some people are of the opinion that only yogurts with these added probiotic bacteria should be called ‘probiotic yogurt’. Others – including me—make the case that even basic yogurt with only the starter cultures Lactobacillus bulgaricus and Streptococcus thermophilus meets the minimum requirements to be called a ‘probiotic yogurt’. This is because the starter bacteria also impart health benefits. Yogurt has been shown to help alleviate symptoms associated with lactose maldigestion. In fact, this is the one health claim that the European Food Safety Authority approved for probiotics. This is a health benefit, albeit for a subset of people who consume lactose but experience digestive symptoms when doing so. As long as it is not heat-treated after fermentation, yogurt contains an adequate dose of live microbes to confer this benefit. Yogurt does not seem to improve conditions such as antibiotic associated diarrhea or acute diarrhea, although the data are limited. 2. Confers a health benefit. The live microbes in yogurt help alleviate symptoms associated with lactose maldigestion. So yogurt, due to its complement of live microbes that confer a health benefit, meets the minimum criteria for being a probiotic. This opinion was expressed by the 2002 WHO/FAO probiotic guidelines committee and a consensus panel of experts in 2014 (Hill et al.). However, calling all yogurts ‘probiotic yogurt’ could confuse consumers and healthcare providers. It is very relevant to be able to distinguish between yogurts with only the starter bacteria in them, and yogurts with an adequate level of additional probiotic strains; additional probiotic bacteria added to basic yogurt can confer a wider range of benefits. Unlike Lactobacillus bulgaricus and Streptococcus thermophilus, the additional probiotic bacteria (including strains of Bifidobacterium lactis or Lactobacillus casei, acidophilus, reuteri and others) are able to survive into the intestine and have been shown to impact both gut health and immune functions. Many might be looking to their probiotic yogurt for just these benefits, and the basic yogurt will fall short. 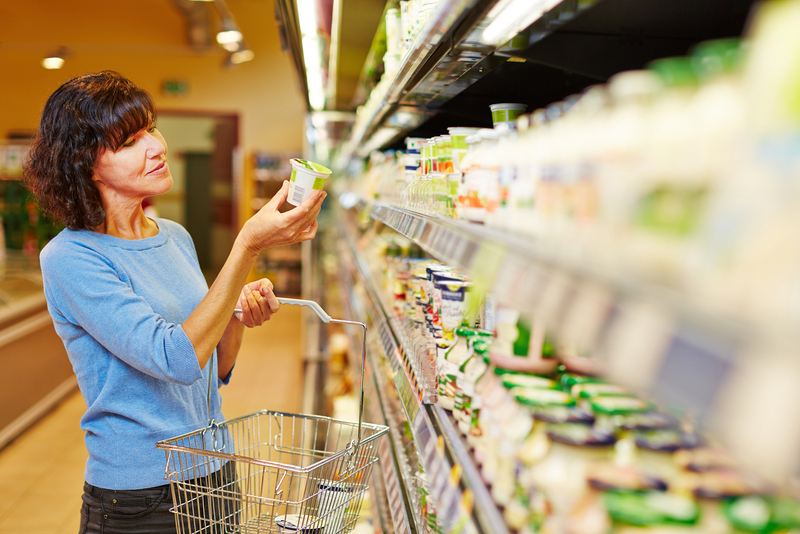 The ingredient statement on a yogurt container typically lists the types of bacteria that have been added, so an alert consumer can distinguish between traditional yogurts and those with added probiotic bacteria. But – although this will seem inconsistent with my scientific perspective above – I favor some more overt means to communicate to consumers and healthcare providers the difference between traditional yogurt and yogurt containing added probiotic bacterial strains. Perhaps we should use the term “live and active” to describe traditional yogurt with only the starter bacteria and reserve the term “probiotic” to describe yogurt with added probiotic bacteria.